Above: Swan Hellentic's Minivera docked at Quay 1. Above: Celebrity Eclipse docked at Quay 2. Right: A causeway, with road and sidewalk, links the new cruise terminal to the mainland. 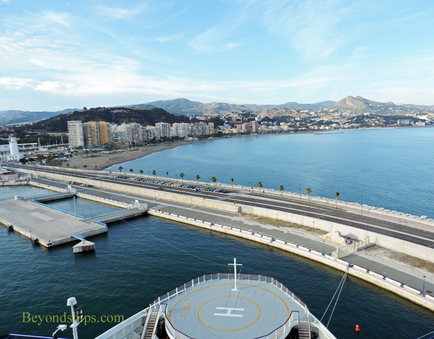 ​Below: Anthem of the Seas docked in the Malaga cruise port. 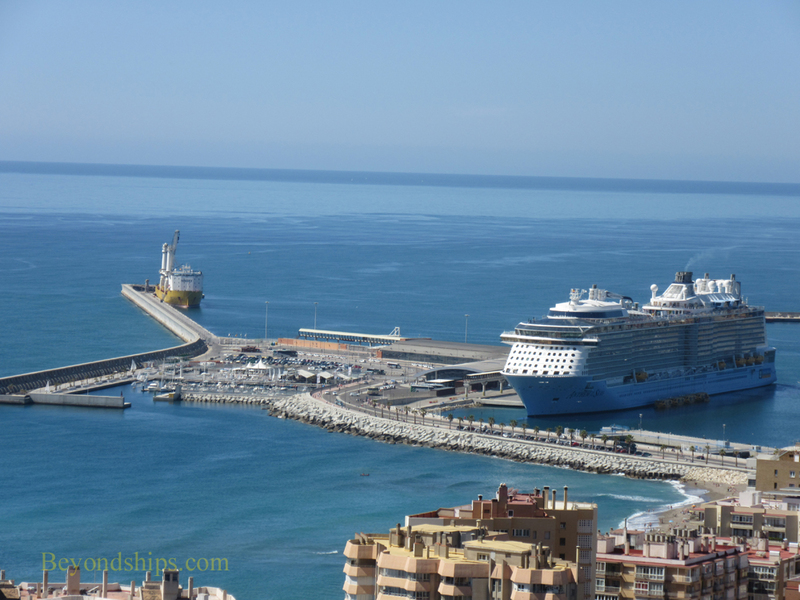 Malaga is Spain's second busiest cruise port. (Number 1 is Barcelona). 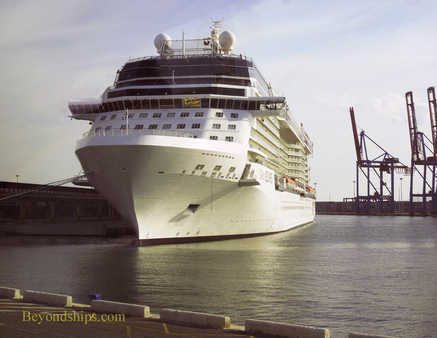 In 2011, 638,845 cruise passengers visited the city, including those who embarked and/or disembarked a cruise in the port. The cruise port has two parts. Small cruise ships, along with large yachts, can berth at Quay 1. Larger cruise ships berth at Quay 2. 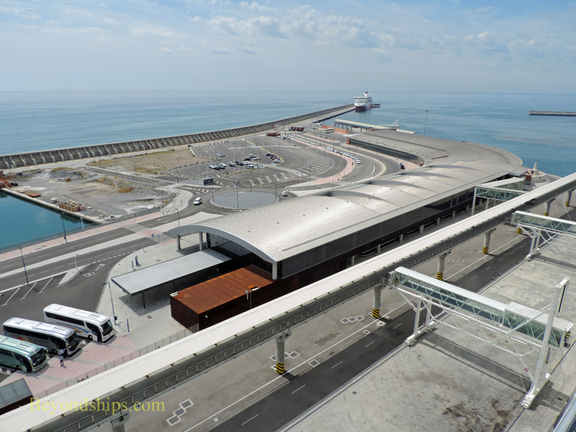 A big, modern cruise terminal building was opened here in 2012 (see photo above). The building is linked to the ships by flexible gangways. Inside the terminal building are shops selling local goods and souvenirs. 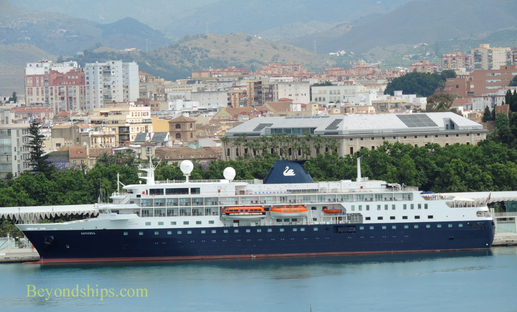 Both quays are close to the historic center of Malaga and passengers can walk into town from both berths. However, some ships run a shuttle bus into town from Quay 2. There are also usually taxis available.